Omegon Barlow lenses stand for high optical quality. The four-element design provides excellent colour correction and ensures pin-sharp, high-brilliance images of the night sky. 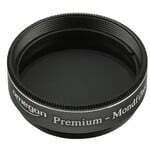 Use this premium Barlow lens between your eyepiece and telescope. 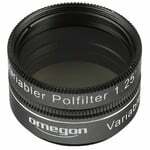 This will increase the magnification without noticeable loss of optical quality. In comparison, a poorly corrected achromatic lens would decrease the contrast. 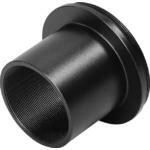 The Barlow lens can therefore also be used as an alternative to having an additional eyepiece. The advantage is that you still have the better eye relief of an eyepiece with a longer focal length, meaning you can always observe in comfort. This Barlow lens is also just about perfect for planetary photography. As optical quality here is critical, you should really use a high-quality Barlow lens. Without a Barlow lens planets appear tiny and virtually no detail can be seen. Only by inserting the Barlow lens can planetary images be made to appear a reasonable size. The better the correction of the lens, the better and sharper the image of the planet will appear. 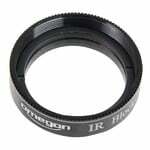 So the Omegon apochromatic Barlow has four lenses to ensure excellent correction and a pin-sharp, high-contrast image. 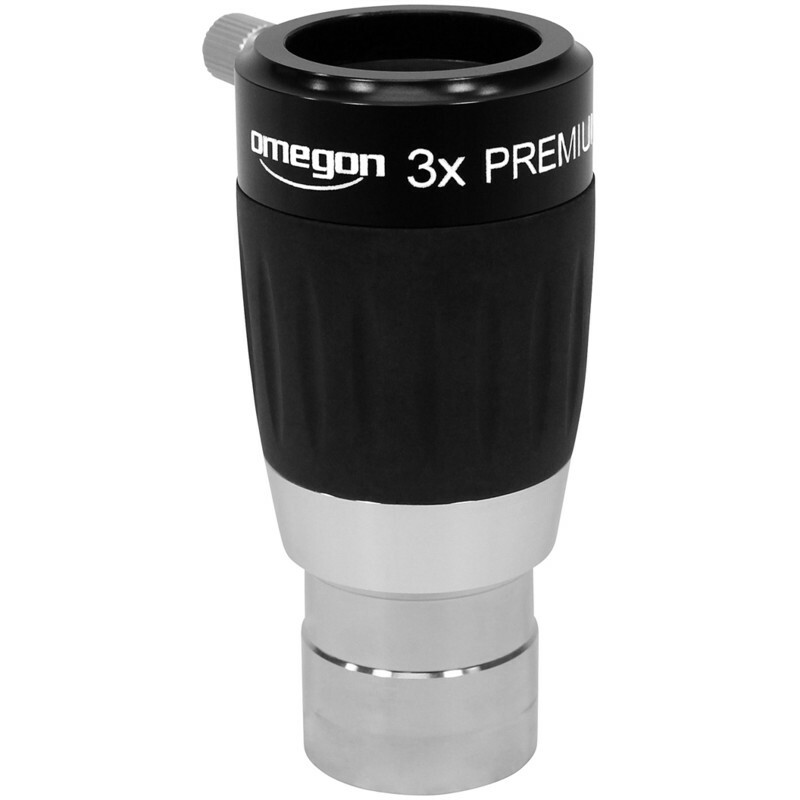 When you hold an Omegon Premium Barlow lens in the hand, you immediately notice that exterior is just as elegant as the interior. The housing is machined from aluminium, and there is high-grip rubber armouring in the centre section. This high-quality workmanship ensures a long life. 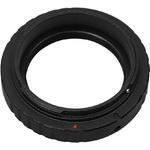 Your eyepiece or camera is connected via a compression ring, providing optimal protection from possible damage.